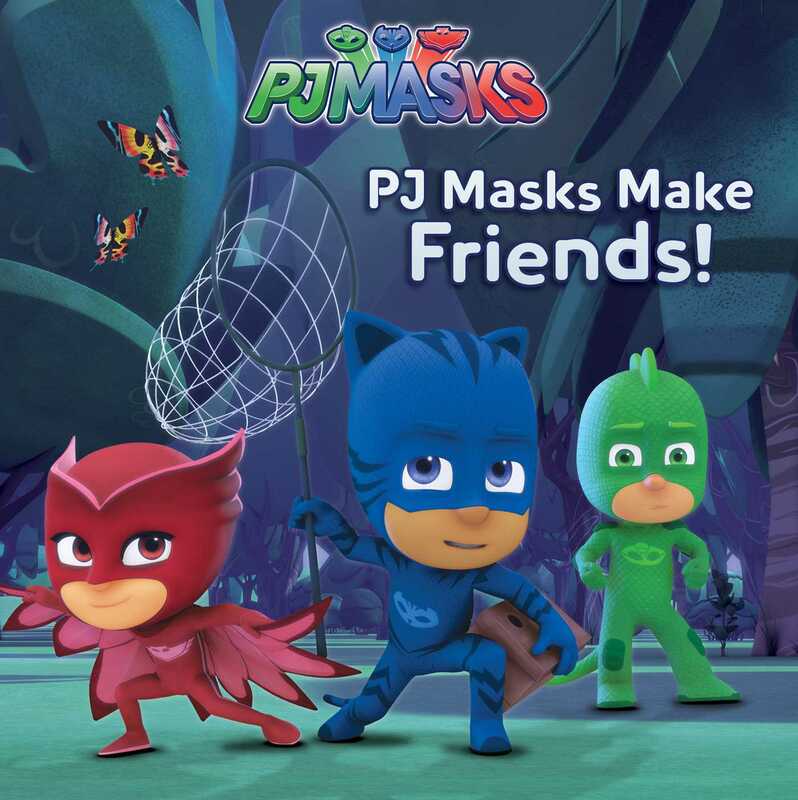 Catboy, Owlette, and Gekko must rescue the butterflies stolen from the City Zoo in this 8x8 storybook based on PJ Masks, the hit preschool series airing on Disney Junior! Oh no! Luna Girl has stolen all the butterflies from the City Zoo, and she’s forcing them to work for her! Catboy wants to catch the butterflies and wrap up the mission fast, but Gekko and Owlette know that making friends with the butterflies is the right thing to do. Can they come to a friendly compromise before Luna Girl’s new Butterfly Brigade takes over the city? Book Cover Image (jpg): PJ Masks Make Friends!